I don’t know about you, but I really do not like change. I like things to stay the same. Even if something is not working right, at least it is predictable that it is not going to work right. At some level, I just prefer things to stay the same. This morning one of the apps on my phone notified me that there was an update available. I use this particular app on a daily basis, so I accepted the permission requests and downloaded the update. When the download was complete, and the app had updated, something strange happened. The icon was missing from where it normally shows on the screen. I went to my complete list of apps and looked for it, but the app was gone. That was odd. How could an app update and then disappear? I finally found it in another area. It had a new name and a new icon. That was weird. My frustration began when I opened the app. Remember, I do not like change. But in this app, everything had changed. Even though it was an update from the previous version, in reality it was a completely new app. The name was different, the layout was different, the colors were different, even the way it worked was different. I missed the old version. I missed the predictability. I was not a happy camper. It reminds me of the way I sometimes feel in my relationship with God. I like things to stay the same. I like predictability. But that is simply not the way God works. God is always changing me. He is always working to conform me into the image of Jesus Christ. Therefore, change is inevitable. But to be honest, sometimes I like the changes, and sometimes I don’t. The problem is that whenever we change, we must let go of what was once familiar. It is just the nature of change. This is true if you change jobs, change your relationship status, change where you live, change your diet, change your routine, etc. When we change, we have to adjust to a whole new set of circumstances. 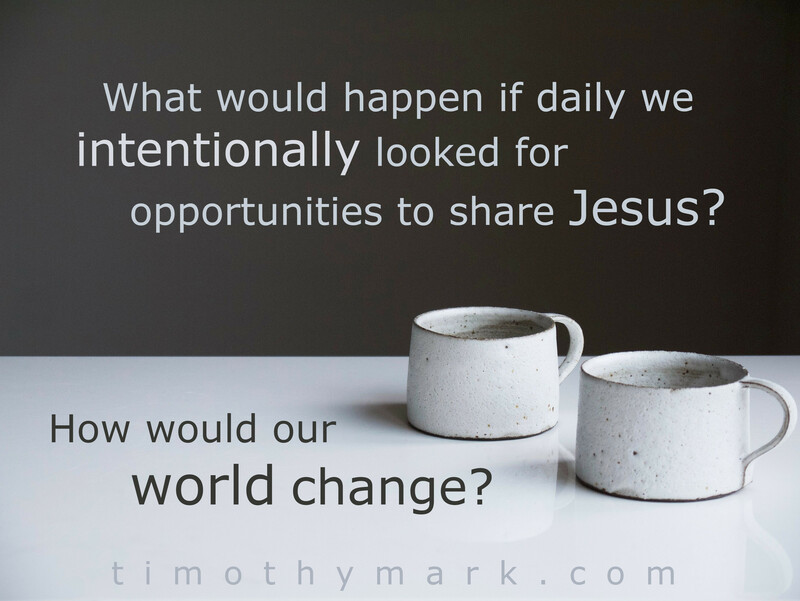 Consider what happens when we first make a commitment to follow Christ. Everything changes! Paul, in his second letter to the church in Corinth wrote this: “Therefore, if anyone is in Christ, he is a new creation. The old has passed away; behold, the new has come” (2 Corinthians 5:17. ESV). We read this, and we celebrate the work that God does in our lives. Thank you Lord! But while we rejoice in this, I think we also have to accept the challenges that come with this kind of change. “Indeed, I count everything as loss because of the surpassing worth of knowing Christ Jesus my Lord. For his sake I have suffered the loss of all things and count them as rubbish, in order that I may gain Christ and be found in him…” (Philippians 3:8-9a, ESV). Notice the phrase, “For his sake I have suffered the loss of all things….” This is an important truth that we can easily overlook. Paul realizes how much better his life is in Christ, but in order to change from the man he was into the man that God wanted him to be, he “suffered the loss of all things.” Ouch. Did you get that? He suffered. The key is to understand that what we are gaining is so far superior to what we are giving up. Again, notice what Paul said in this phrase – “For his sake….” It was because of what he was gaining that he was willing to suffer the loss of all things. He was gaining Christ himself! Wow! You and I face similar circumstances every day. God invites us into the same kind of relationship with him that Paul enjoyed. Part of that relationship is an ongoing work of the Holy Spirit to conform us into the image of Jesus Christ. He is constantly changing us. My problem is that I often resist his work in my life because changing means I have to let go of something familiar. Remember, I like predictability. Even when something isn’t working right, at least it is predictable. I hold onto what is familiar with an iron grip. When I do, it hurts because God has to pry my fingers apart in order for me to let go of what I am holding onto. 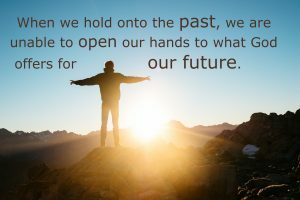 You see, I can never take hold of what God is offering me if I am continually clinging to the past. My friend, perhaps you are like me. You may find yourself facing a choice. God wants to change your life in amazing ways, but you are afraid to let go. I understand. I’ve been there. Looking back, it seems silly that I would desperately hold onto something if I understood what I would gain by letting go. So let go. Let God change you into the image of Christ. Right now you may be suffering, as you consider all that you are leaving behind. God understands. Lift up your eyes and consider what you are gaining as a result. I think you will find there is no comparison. With Paul, we will then be able to say, “I count everything as loss because of the surpassing worth of knowing Christ Jesus my Lord” (Philippians 3:8, ESV). After a time, I begrudgingly had to admit that the new version of the app on my phone was in fact better than the version I had before. I let go of how it used to work, and I am embracing the improved version. Maybe this morning you woke up and discovered that God has an update waiting for you. Like that phone app, he has prepared a new life for you that is so much better than what you’ve had before. Give the Holy Spirit permission to make the changes he longs to make in you. Let go of the past version of yourself, and take hold of the new version he has prepared for you. In the end, you’ll find his new version of your life is always better than what you have right now. This article was originally published in the July 2015 Newsletter.